Big trip coming up? Better notify your bank. 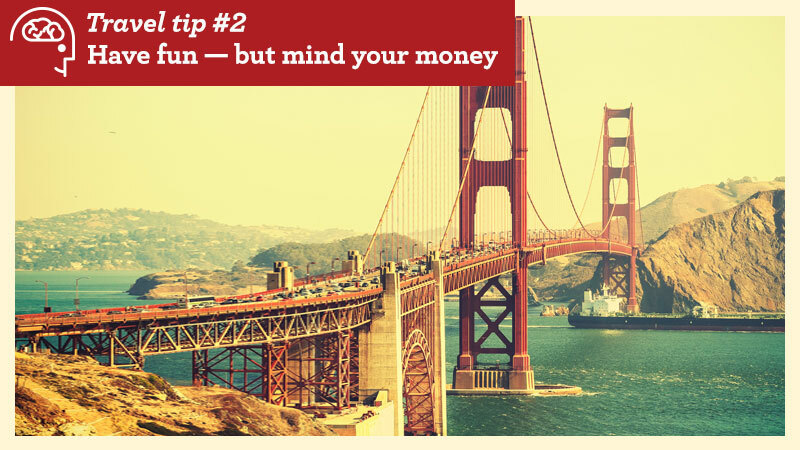 Here are some financial tips to ensure a smooth summer travel season. Jane Kampen had lined up everything she’d need — clothes, toiletries, and outdoor gear — for her family’s camping trip to Colorado several years ago. The one thing she and her husband didn’t do was let their bank know about it. Only a day after leaving Minnesota, as the family was hiking a mountain trail in the Rockies, Kampen got a call from Wells Fargo. Concern turned to relief, however, when a customer service representative told them the bank noticed potentially suspicious transactions had been made in Colorado on their credit card, Kampen said. They confirmed the transactions were legitimate as part of their vacation. “Notifying your bank about your travel plans in advance will better equip them to monitor suspicious activity and help ensure that you can use your card for purchases while you are traveling,” said Katherine McGee, head of digital product management for Wells Fargo. Mobile banking technology makes it more convenient than ever to take many travel precautions. Notifying your bank about travel, for example, takes only a few taps on the screen of your mobile device. 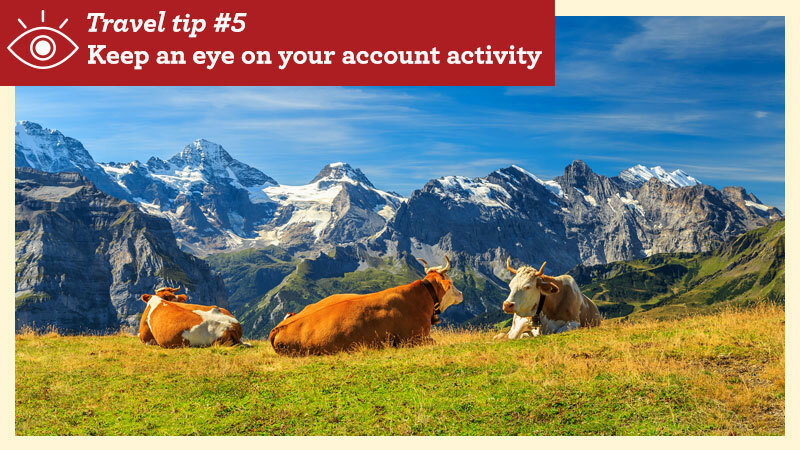 Wells Fargo customers can easily set up a travel plan once they log into their online or mobile banking session. Wells Fargo also provides an in-app mobile feature that will remind you to let the bank know about your travel. A predictive banking feature appears as a blue light bulb icon on the lower-left side of the screen and prompts customers to set up an account travel plan after recognizing potential travel related transactions such as a flight or hotel stay. The feature also provides customized money management insights and tips. Wells Fargo’s predictive banking feature also provides customers with “in the moment” information — whether at home or on vacation — to help them make better informed financial decisions, McGee said. 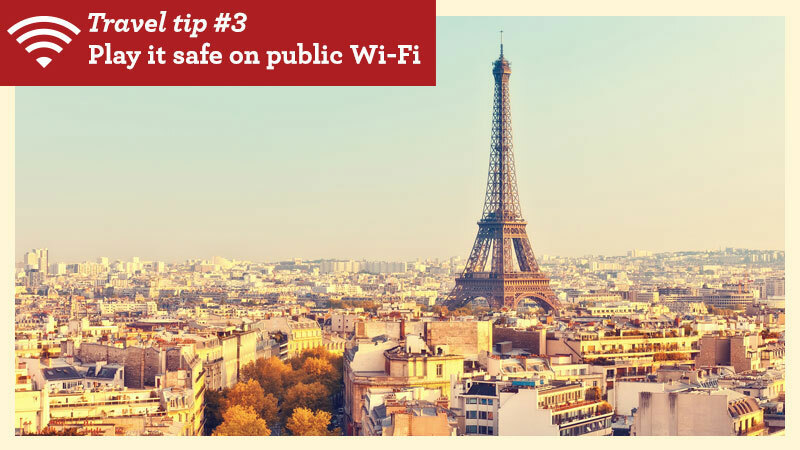 Before using a public network — at a hotel or café, for example — ask an employee for the specific network name and whether it requires a security key for access. To play it safe, do not access your personal or financial information using any unsecured network. If your debit card is misplaced or possibly stolen, act quickly to help prevent fraudulent transactions. For Wells Fargo customers, use the card “on/off” button on the mobile app to preempt any unauthorized use of the card. Once the card is recovered, you can simply turn it back on. Set up account alerts and notifications before traveling, and use your banking app on a secured Wi-Fi network to frequently monitor your account and card activity while traveling. Alert your bank or card issuer to unusual or unauthorized activity as soon as possible. After returning home, continue to frequently monitor your account activity and watch for any delayed travel-related fraud.